Any prospective parent worries about managing their own lives, let alone that of a small child. Being a parent is one of the hardest jobs we may ever do. It is physically exhausting. It is emotionally draining. It is 24 hours, 7 days a week. If you have arthritis, you may feel overwhelmed by the challenge. The good news is, careful planning will help with the transition to parenthood. For those with arthritis who are already parents, there are several strategies for reducing the hurdles you and your family may face. According to Statistics Canada, approximately 65% of women are mothers with children at home. There is very little research about how arthritis affects the role of mothers, although some studies of mothers with disabilities, including arthritis, have identified physical limitations caring for young children, such as bathing or carrying children and manipulating small items like buttons or hair ribbons when helping their children dress. The huge impact of fatigue. Fatigue affected their ability to participate in family activities. The women interviewed found it necessary to avoid using up their energy on unimportant tasks, especially since rest was difficult to schedule. Different kinds and levels of support. Mothers needed practical, professional and moral support, but some of them received very little or ineffective support. Others benefited from a great deal of effective support from family, friends, and health professionals. The impact of arthritis on the family. Both obstacles and benefits were described. Some mothers experienced sadness and reported that they did not permit their children to participate in certain activities because of their arthritis. Others described how their arthritis played a part in raising sensitive, helpful, and independent children. Some women stated that arthritis was almost a blessing because it brought the family together more for quiet time and let them focus on 'being there' for emotional support and guidance. The ups and downs of participation in mothering tasks and household work. For many mothers, arthritis meant they could not consistently participate in certain activities, such as helping with homework, playing games, going on outings, and preparing meals. The phrase, "Sometimes I can, sometimes I can't" best defines this category. That is, mothers said arthritis's impact on parenting differed from day to day, depending on their symptoms and the demands of the task. Sometimes they figured out ways to accommodate physical limitations, but sometimes they were frustrated and just could not do tasks once taken for granted. The second phase of the study, "Arthritis, Parenting and Household Work Part Two," undertook to identify what predicts parenting and household work disability and what solutions could be used in health, rehabilitation, and social service programs to help mothers with the challenges they face in parenting and household work. In the process, ARC gathered rich descriptions of the occupation of mother by surveying over 300 mothers with inflammatory types of arthritis (like rheumatoid arthritis) and mothers without chronic illness. The study's main findings were that: (1) mothers with arthritis are just as satisfied in the parenting role as mothers without arthritis, despite some physical difficulties caring for their children; and (2) "being" a mother is distinct from "doing" motherhood tasks. Another discovery from this study was that mothers with arthritis experienced much more frequent and severe fatigue than mothers without arthritis. Further, the emotional health status was similar in the two groups (with and without arthritis), but mothers with arthritis reported more limitations due to their physical health. Mothers without arthritis were more likely to be employed: 79% of mothers without arthritis were doing paid work compared to 59% of mothers with arthritis. Consequently, household income for families of mothers without arthritis was higher than for families of mothers with arthritis. This suggests that mothers with arthritis may have fewer financial resources available for household help. These experiences may not be entirely unique to mothers. The Arthritis Research Centre of Canada (ARC) is conducting a study to learn the effect inflammatory arthritis has on fathers. For more information about this project, visit www.arthritisresearch.ca. All parents, regardless of whether they have arthritis will have the same worries and challenges, and will naturally adjust their lives to accommodate a new arrival. If you have arthritis, you may find it useful to work out strategies ahead of time that will help you to care for your baby. To begin planning, you may want to ask for a referral to an occupational therapist (any healthcare professional can refer you or you can find one by looking up your provincial occupational therapy organization). They will do an assessment in your home to look for potential problems and can help you figure out how to perform tasks such as carrying, bathing, and dressing a baby. Here, we will provide you with a few suggestions to get you started. 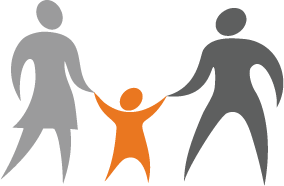 For more resources, such as parenting books with helpful advice for those living with a disability, visit The Centre for Independent Living in Toronto's website parenting resource page: http://cilt.ca/parenting_resources.aspx. If your hands are affected by arthritis you might find it difficult to lift your baby in the usual way. Many parents with arthritis find they can use other, larger joints. One method is to lift your baby using your forearms rather than your hands and wrists. This involves standing behind the baby and putting one arm between their legs and your other arm around the baby to draw them back to sit on your forearm. You then bring the baby close to your body so that your arms and body take the weight. Getting out and about with your baby can be tricky. Carrying-slings can be used before your child becomes too heavy at around nine months. Some people use baby carriers although the extra weight could cause back or hip pain. Instead, try to choose a stroller that is lightweight and easy to open and close. As they get older, children can learn to help you by turning around when they are ready to be picked up. You can also teach them to stand safely on a chair when they want to be picked up or cuddled. Diaper changing is less stressful on sore or stiff joints if the changing table is at a comfortable height, where you do not have to bend over. Some changing tables can attach to a wall at any height. As your child grows, try to shop carefully for clothes. For example, zippers on sleepers are easier to manage than buttons or fastening snaps. If the zipper pull is too small to pinch, it can be adapted by attaching a key ring. Rather than buying shoes with laces, consider getting some with Velcro fastenings or replacing the laces with elastic laces. Tops and bottoms without fasteners are easier both for you and for young children learning to dress themselves. Parents have busy schedules and it is easy to do too much and feel worn out especially when there is the fatigue that comes with arthritis. Think about ways to pace yourself and conserve your energy by looking at what you can realistically do. Focus on what really matters to you – and delegate or lose the rest. Children will learn quickly what mom or dad can or cannot do, but it does help if they understand why. Most importantly, be honest, but reassuring about your arthritis. Your family is likely to be interested in what causes it, how it develops, and how it will affect what you can do. They might also want to know what it feels like. Show how you cope with it by reaching out for extra help and support, and medicating wisely. Getting the kids out of bed, washed, fed, dressed and out the door in time can be exhausting. Some preparation the night before, like packing lunches, laying out school clothes, setting out school bags or backpacks, and planning breakfast can help ease the stress of the morning. As your children get older they will learn to do much of this for themselves. In fact, this is part of guiding children to become independent, so avoid thinking of requests for assistance as burdening your children with your arthritis – it's part of growing up. The key is to remain involved. When you have arthritis, you may not be able to handle a game of basketball, but spending leisure time with your children is an important way to bond. Adapt activities to your abilities: play a board game, take a walk or go to the movies with your child. Develop shared interests you both enjoy. Physical activity is important to managing your arthritis, so go ahead and plan active leisure; just make sure you have a back up plan in case you need to pause for a break or stop early. As your children reach their teens they will become more independent. Most teens do not want to be seen as different from everyone else. This might mean that a teen who was keen to help out mom or dad as a child is now distant – this can be hard to accept, but is a natural part of growing up. Good habits nurtured in their younger years will hopefully prevail! Of course, the transition to adolescence will vary from family to family. Some parents find their relationship strengthens as their teen gets old enough to understand their condition a little better. Take time to explain the ups and downs of arthritis – somewhat like the ups and downs of adolescence – and teens will learn to adapt. Some parents may worry their children will inherit arthritis. To put these fears into perspective, however, consider the evidence: Although rheumatoid arthritis can sometimes run in families, it is not usually passed from parent to child. Most forms of osteoarthritis are not likely to be inherited except nodal osteoarthritis, which affects the fingers. Research suggests that the chance of your child developing ankylosing spondylitis is about one in 50 while their chance of developing lupus is about one in 100, if you have these conditions yourself. 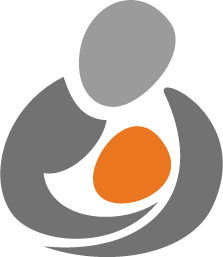 ArthritisID—designed for patients, healthcare professionals, and the public. Available at the App Store in June 2011, ArthritisID will set the "gold standard" as the most sophisticated iPhone arthritis app in North America. Designed and created by NAAP co-leaders, ACE and the Arthritis Research Centre of Canada (ARC), ArthritisID will provide the most current, evidence-based and unbiased arthritis information on your iPhone, when and where you want it. The arthritis app will feature a valuable interactive screening tool and questionnaire to determine if you have indications of a type of arthritis. You will also find detailed information about treatment strategies for the different types of arthritis, including osteoarthritis, rheumatoid arthritis, gout, lupus and ankylosing spondylitis, and some of the rarer forms. There are two versions of ArthritisID: The first version—ArthritisID—is tailored to the general public to raise the level of conversation about early detection and "best practice" medical treatment and self-management. Consumers will also find useful sections, such as tips for speaking to their doctor about arthritis and joint pain. The second version of the arthritis iPhone app—ArthritisID PRO—is designed for healthcare professionals to ensure they are abreast of current "best practice" guidelines for detecting, diagnosing and managing arthritis. ArthritisID PRO will also feature exam videos and a special CME section where physicians can earn continuing medical education credits built around the information contained in a test format on the app. 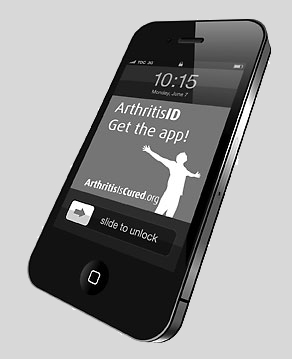 To find out more about the NAAP or the ArthritisID iPhone app, you can go to www.arthritisiscured.org or visit us on Facebook @ www.facebook.com/ArthritisIsCured or follow us on Twitter @ twitter.com/#!/arthritiscured.